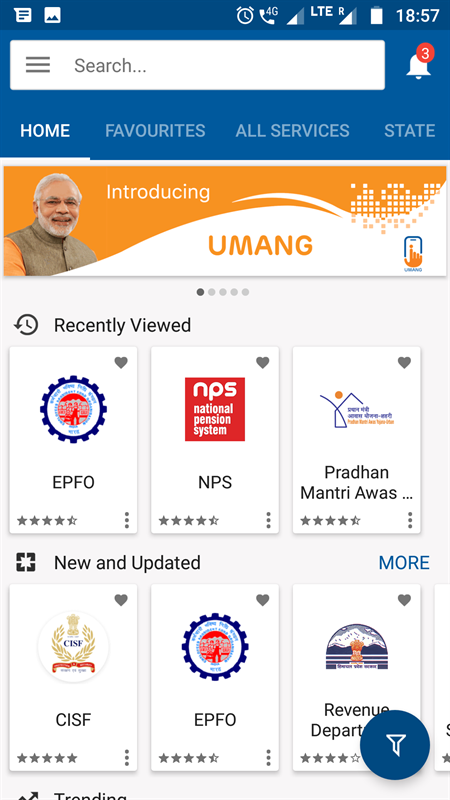 Umang app is a Government of India initiative to bring all the services run by it on mobiles. This app is available for Android, iOS and Windows mobiles. 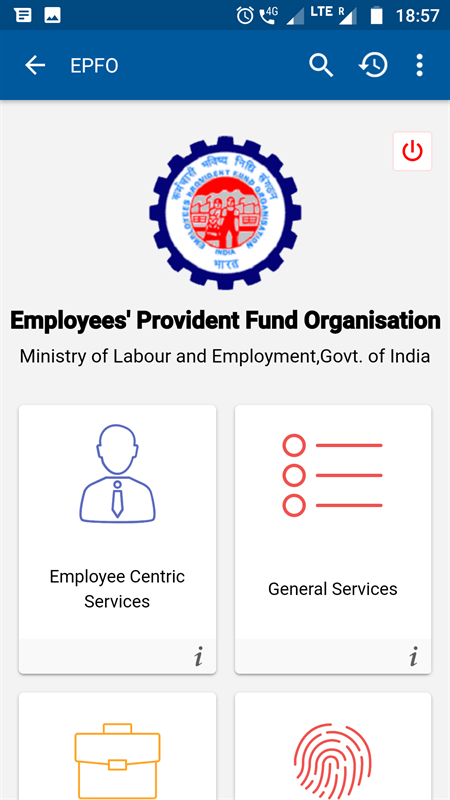 Umang hosts 193 services from 38 departments of 7 states like the NPS, CIFS, Revenue Department, Pradhan Mantri Awas Yojna, Kisan Suvidha, EPFO, etc, In this article, we will see how to use this app to check your balance in the EPFO section. Umang app is available for all 3 major mobile operating system as mentioned before and you can search and install it by going to the respective App stores. Otherwise, you can open https://web.umang.gov.in/ on mobile and click on the Download link for your mobile's app store. After you install it you will need to give it permission to access your device location, read your SMS and call data. 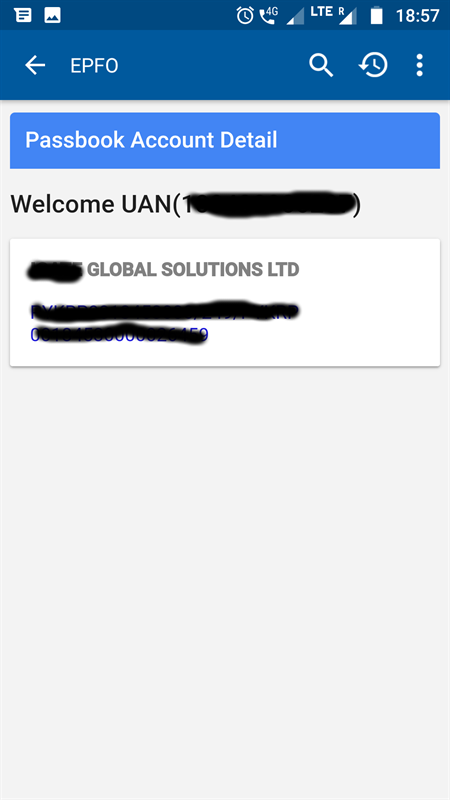 Now you have to create a profile in the app that will require authenticating your mobile number of OTP verification. You will also need to select 2 security questions which will be used in case you forget your account password and you need to reset it. Next, you will be asked to add your Aadhar card number and verify it by OTP. This will seed your account with your name, date of birth and address. You can choose to skip this step and rather fill in the details manually or skip filling of these details too. In the first page of the app search for EPFO, you should be able to locate it easily enough. Click on it. Now click on Employee Centric Services. 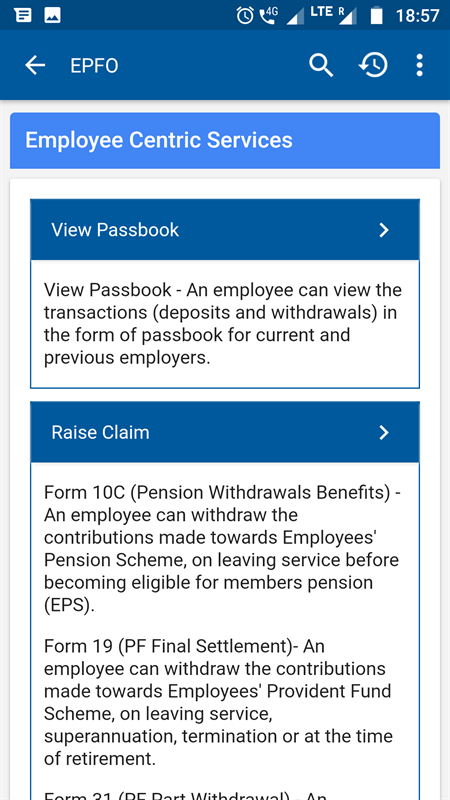 In this section, you can view your passbook, raise a claim for withdrawal if you are a retiree and also check the status of your claim if you have already raised one. We will proceed with our aim of checking the passbook - click on View Passbook. The next screen will ask you to enter your UAN number. This can be generally found in your payslip. Once you enter this you will need to authenticate your mobile number associated with the EPFO authority. Once you authenticate yourself by way of OTP you should now see a link made up of your PF account number as shown in the image below. 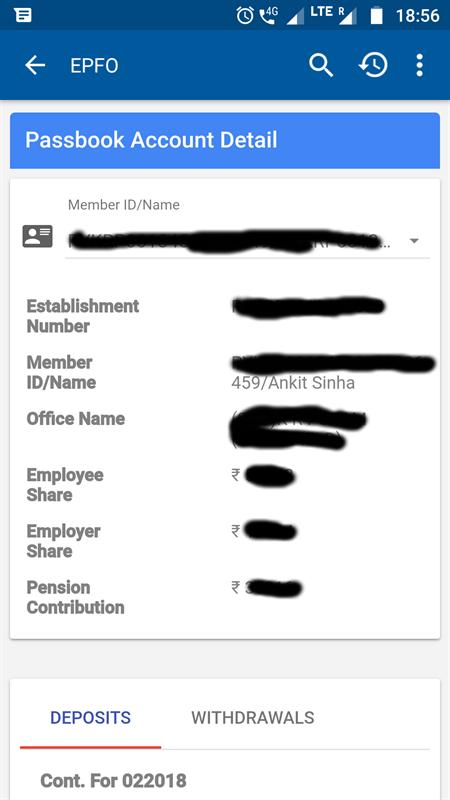 Click on the link and you will be able to see your PF passbook with all the details like last Employee contribution, Employer contribution and Pension contribution. In addition to these, EPFO on Umang also provides you the facility to do eKYC by way of Aadhar seeding of your PF account if it is not yet done. You can also use the General Services section to search for the nearest EPFO office, get Account detils on SMS and on missed calls.